Who's behind this London Attractions Guide? Around 5 years ago I left the sunny shores of Melbourne Australia with little more than a backpack, a small amount of cash and a massive feeling of excitement. 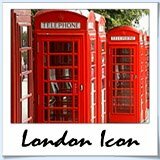 After travelling through South East Asia, Italy and France I settled in London with little knowledge of the city or what to expect. Truth be known, I was flat broke and needed to find a job. Well, either that or call home for help but I don't think mom would have appreciated that! Initially I found being in London quite tough. The English have a funny way with things and for reasons unknown, don't like Vegemite! Over the first three month of my London adventure the homesickness subsided and was replaced by the feeling of ecstasy my new romance with London was providing. It was around this time that I knew that London was one very special city. My love affaire with London has grown and grown, and 5 years on still look forward to filling every spare moment of mine with a new and exciting activity. 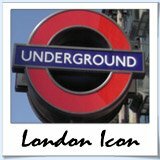 If you spend some time browsing the site, you'll soon find that London is a great city for attractions. They're endless events all year round and for every budget and audience (yep, that includes free attractions and attractions for kids and teenagers). 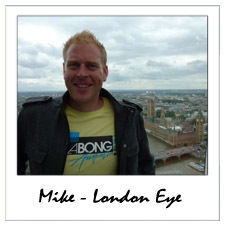 My idea to create a website about the Top London Attractions came quite naturally. I love London and I want to share my knowledge with the world. From dabbling with web design in the past I had a few basic skills but decided to use SBI's methodology to guide me through the process. Thanks again for checking out my London Attractions Guide. I hope you have a great time in London and enjoy it as much as I do.